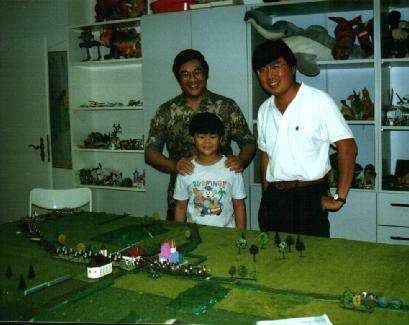 L-R - Walter, Alex and Dominic in our war room somewhere in Germany. British troops entering the field in march column. 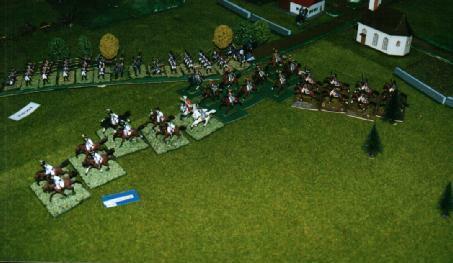 British Hussars (converted Italieri French Hussars) in hot pursuit - being charged by French Cuirassiers (Airfix) in the flank. 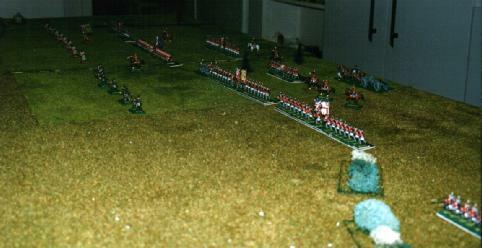 In the background, French Infantry (Italieri) advance towards the town. British troops on the plain of Maida. 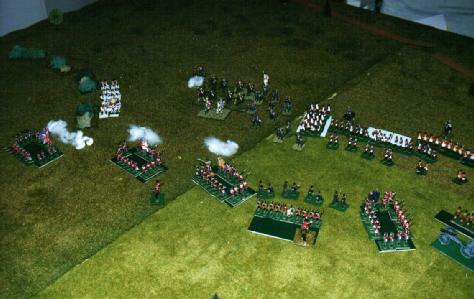 Fierce firefight between French (Italieri) and British (Qualiticast) skirmishers. 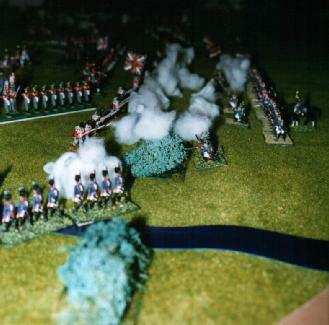 British squares firing at advancing French.